Established over 40 years ago and convenient for cat owners in South East London, Cottage Cattery is located in the Kent countryside, just outside Orpington and not far from Bromley. The accommodation is provided by a purpose-designed and brick-built cattery, with individual apartments. Larger family apartments are available if you'd like to board families of cats together. 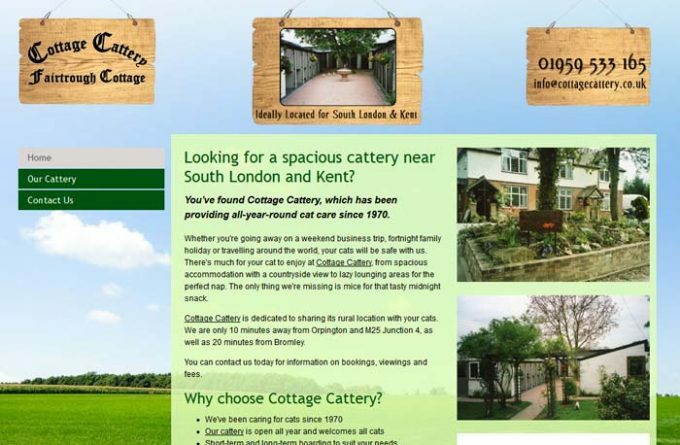 For more information about Cottage Cattery, you can visit them in person, visit their website, telephone or send them an email (if available) using the form below.